EBEK exam result has been published on official ebek website http://www.ebek-rdcd.gov.bd/. 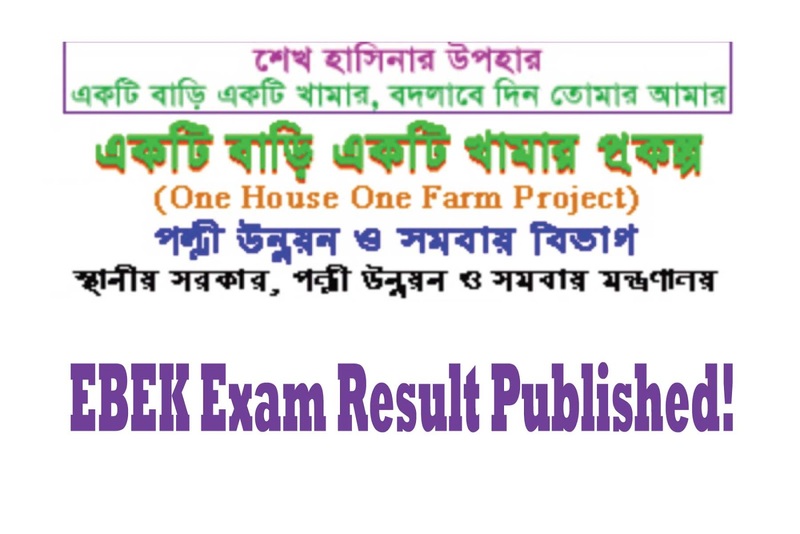 See here EBEK exam result for all posts - MLSS, Nightguard, Office Assistant, Field Supervisor, Field Assistant posts. After some days of the exam usually the result publishes. After all, some posts results has been published. See details below about EBEK exam Result 2018. Best of luck for your ebek examination result. Keep update with this website to get all results.